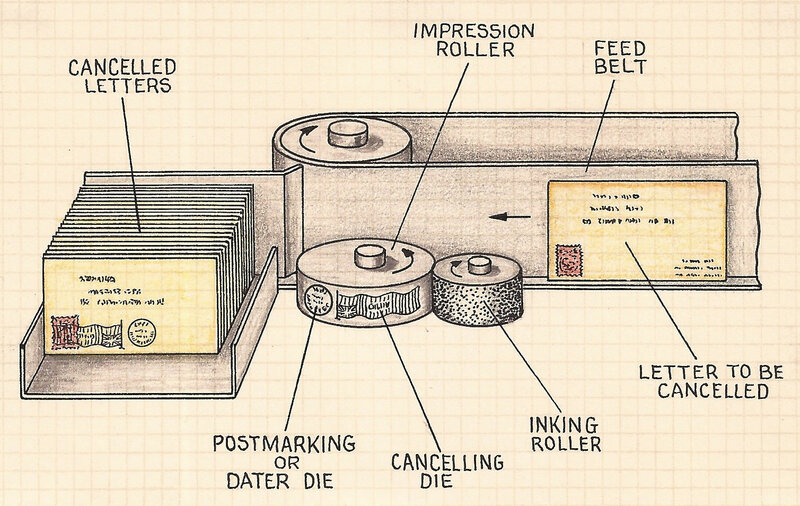 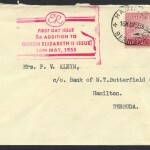 Cancelling machines were first introduced in January 1913 at the Hamilton Post Office. 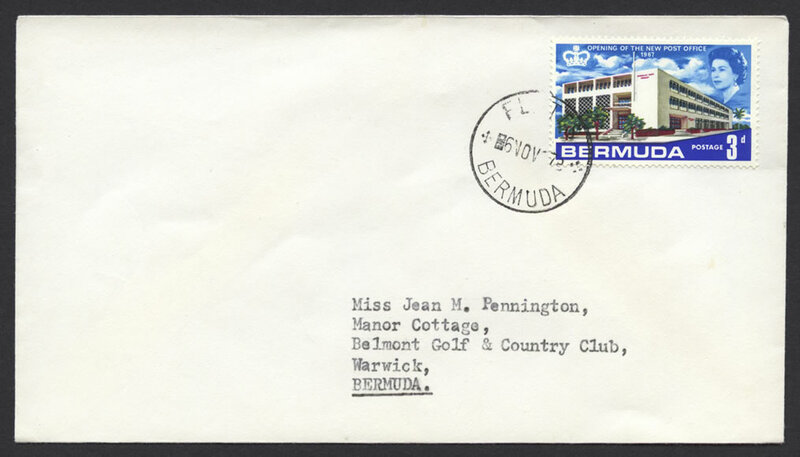 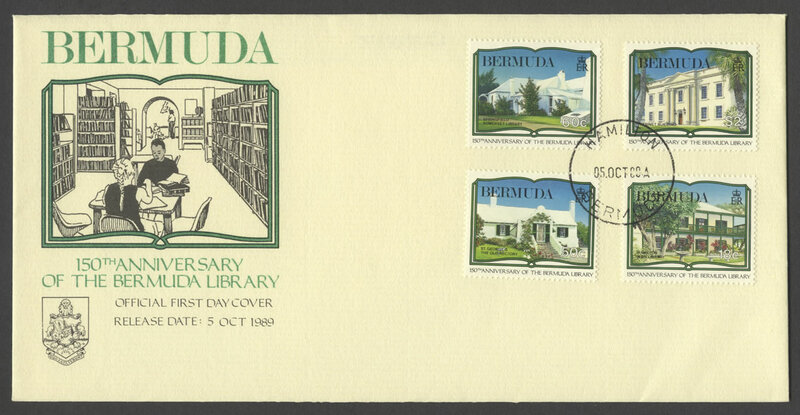 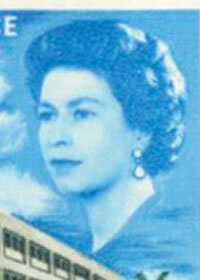 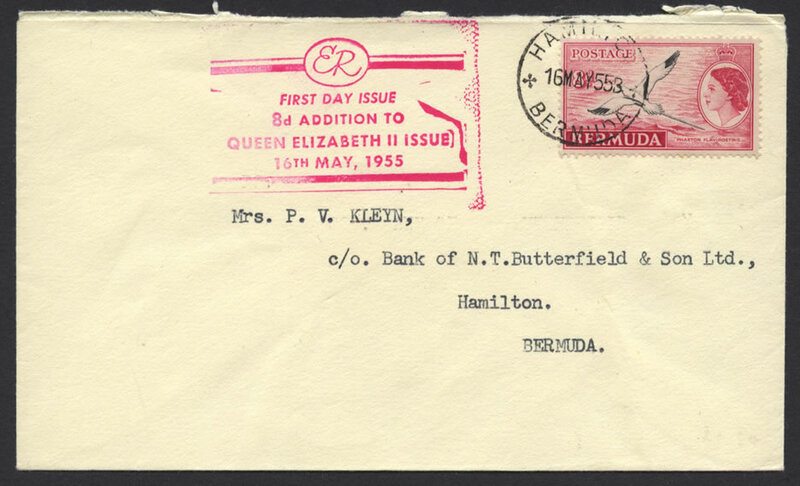 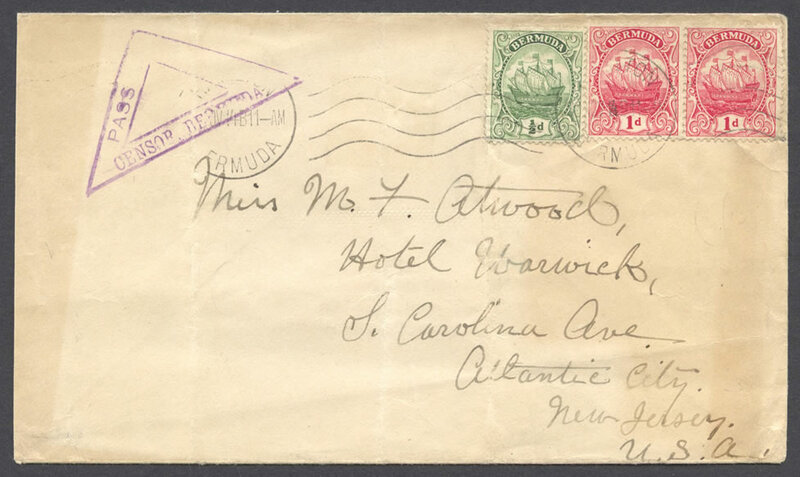 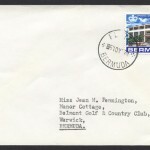 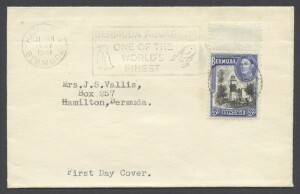 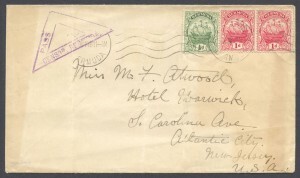 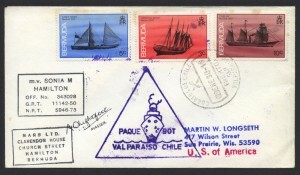 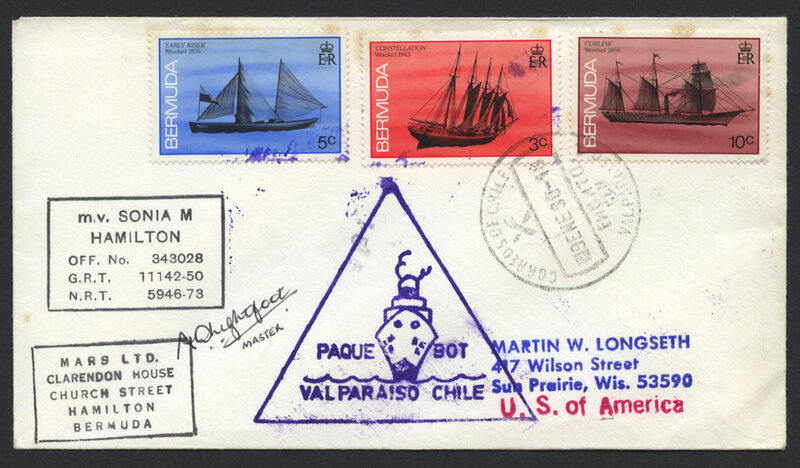 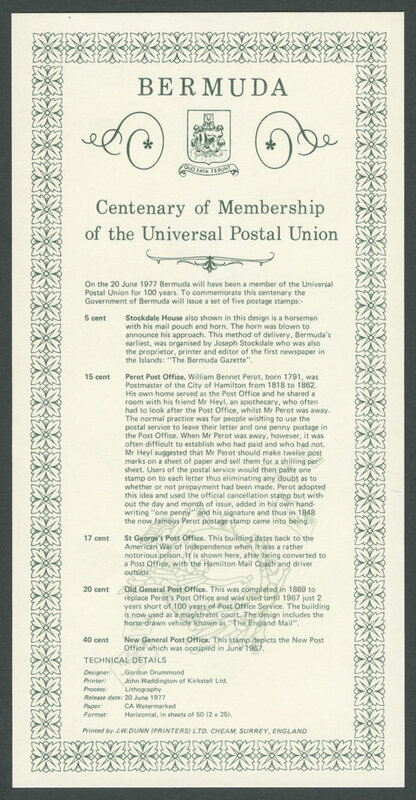 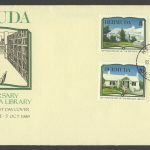 The other Bermuda post offices had them introduced later shown in the list below. 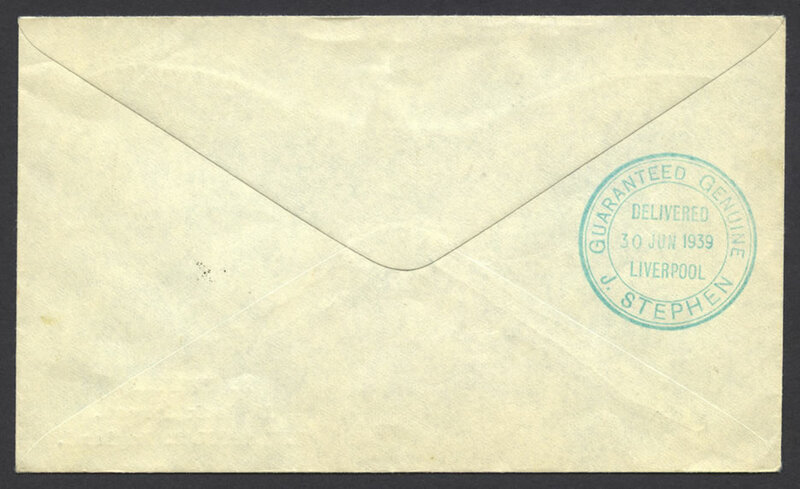 Machine cancellations comprise of two elements: a datestamp and a slogan. 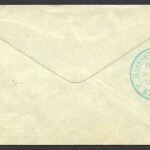 Some machine cancellations were continuous and others used a single impression. 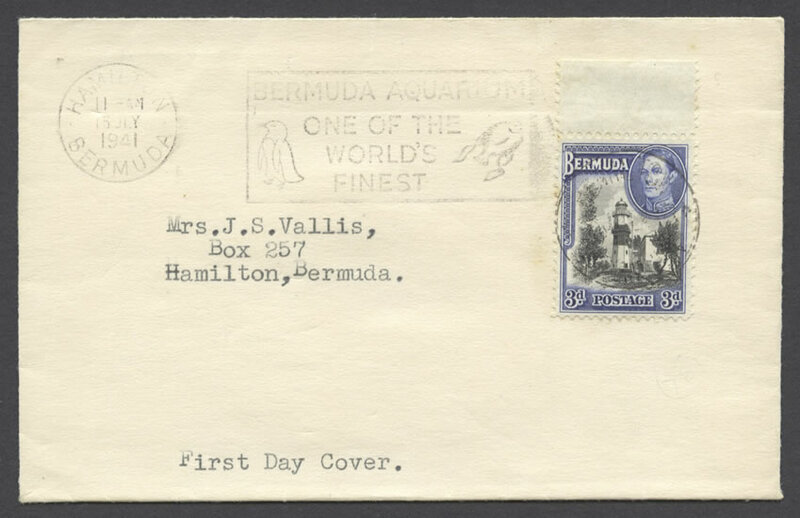 MH10 – BERMUDA AFTER THE WAR THE SAME ENCHANTED ISLANDS – no frame – One collection in late 1946 – no examples seem to have survived. 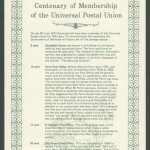 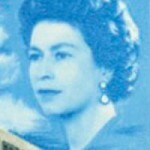 MH12 – POST EARLY FOR CHRISTMAS – no frame – 1st December to 23rd December 1948 then annually except for 1959 when the 350th Anniversary slogan was used.